S.J Watson’s debut novel is spellbinding. Every day Christine wakes to a life of lost memories. She doesn’t know where she is, how she got there, nor the man lying next to her. Tiny snatches of memory surface throughout the day, only to disappear when she sleeps. The fight to regain her memory is aided by Dr. Nash, and a secret journal in which she writes each days memories. Their secret rendezvous led Christine to discover there is much more to the story than her husband is telling. 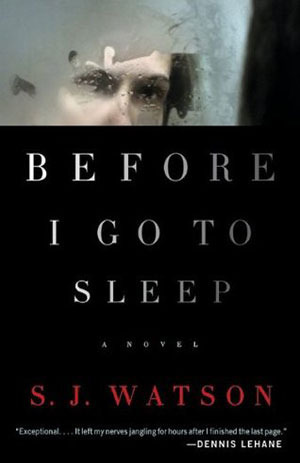 This novel will keep you up at night.